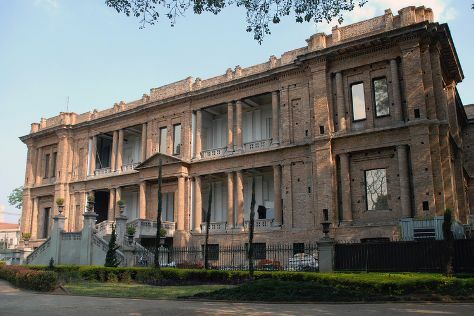 On the 4th (Sat), explore the world behind art at Pinacoteca do Estado de Sao Paulo, then admire the masterpieces at Museu de Arte de Sao Paulo Assis Chateaubriand - MASP, and then browse the fresh offerings at Mercadao - Sao Paulo Municipal Market. Keep things going the next day: tour the pleasant surroundings at Ibirapuera Park and then take a stroll through Paulista Avenue. For ratings, other places to visit, maps, and other tourist information, refer to the Sao Paulo online tour builder . If you are flying in from Brazil, the closest major airports are Congonhas Airport, Guarulhos - Governador André Franco Montoro International Airport and Viracopos International Airport. In January, daytime highs in Sao Paulo are 33°C, while nighttime lows are 23°C. Finish your sightseeing early on the 5th (Sun) so you can travel to Prague. Prague is known for historic sites, nightlife, museums, fun & games, and zoos & aquariums. Your plan includes some of its best attractions: take a stroll through Old Town Square, appreciate the extensive heritage of Prague Castle, get the lay of the land with Walking tours, and get great views at Prague Astronomical Clock. To see traveler tips, reviews, maps, and tourist information, go to the Prague trip planner . You can fly from Sao Paulo to Prague in 18.5 hours. Another option is to do a combination of bus and flight. You'll lose 4 hours traveling from Sao Paulo to Prague due to the time zone difference. Expect much colder temperatures when traveling from Sao Paulo in January; daily highs in Prague reach 2°C and lows reach -3°C. Cap off your sightseeing on the 8th (Wed) early enough to travel to St. Petersburg. St. Petersburg is known for museums, historic sites, parks, nightlife, and shopping. Your plan includes some of its best attractions: admire the masterpieces at The State Hermitage Museum, see the interesting displays at Russian Museum, pause for some serene contemplation at Church of the Savior on Spilled Blood, and don't miss a visit to Palace Square (Dvortsovaya Ploshchad). For traveler tips, more things to do, where to stay, and more tourist information, read our St. Petersburg road trip planning tool . You can fly from Prague to St. Petersburg in 6 hours. Other options are to drive; or take a train. 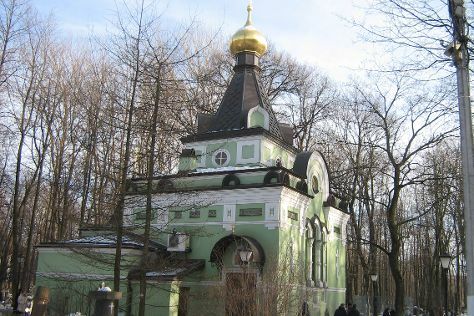 Due to the time zone difference, you'll lose 2 hours traveling from Prague to St. Petersburg. Expect a bit cooler temperatures when traveling from Prague in January; daily highs in St. Petersburg reach -5°C and lows reach -10°C. Wrap up your sightseeing on the 11th (Sat) early enough to travel to Krakow. When in Krakow, make a side trip to see Panstwowe Muzeum Auschwitz-Birkenau in Oswiecim, approximately 1h 30 min away. Next up on the itinerary: have fun at Shooting in Krakow - Cracow Shooting Academy - Strzelnica Krakow, make a trip to Main Market Square, get your game on at Axe Nation - axe throwing club, and get to know the fascinating history of Wawel Royal Castle. To find traveler tips, photos, other places to visit, and more tourist information, use the Krakow online travel route planner . You can fly from St. Petersburg to Krakow in 7.5 hours. Other options are to do a combination of flight and train; or drive. The time zone difference moving from Moscow Standard Time (MSK) to Central European Time (CET) is minus 2 hours. In January, Krakow is somewhat warmer than St. Petersburg - with highs of 1°C and lows of -5°C. Wrap up your sightseeing on the 14th (Tue) to allow time to travel to Budapest. Budapest is known for historic sites, spas, nightlife, museums, and nature. Your plan includes some of its best attractions: get a sense of history and politics at Parliament, contemplate in the serene atmosphere at Matthias Church, don't miss a visit to Fisherman's Bastion, and take in the views from Szechenyi Chain Bridge. To find other places to visit, reviews, photos, and more tourist information, go to the Budapest travel itinerary planner. Traveling by flight from Krakow to Budapest takes 4.5 hours. Alternatively, you can drive; or take a bus. January in Budapest sees daily highs of 3°C and lows of -4°C at night. Wrap up your sightseeing on the 17th (Fri) early enough to travel to Sarajevo. On the 18th (Sat), contemplate in the serene atmosphere at Gazi Husrev-beg Mosque, admire the landmark architecture of Gradska vijecnica Sarajevo, then steep yourself in history at Bascarsija, and finally get engrossed in the history at War Childhood Museum. To find photos, other places to visit, traveler tips, and more tourist information, you can read our Sarajevo trip itinerary app . You can fly from Budapest to Sarajevo in 4 hours. Alternatively, you can do a combination of shuttle and flight; or drive. In January, plan for daily highs up to 5°C, and evening lows to -4°C. 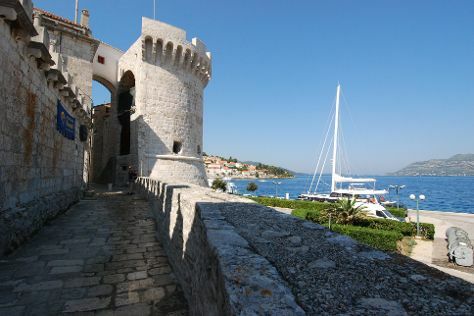 Wrap up your sightseeing on the 18th (Sat) to allow time to travel to Korcula Town. Start off your visit on the 19th (Sun): steep yourself in history at Kula Morska Vrata, don't miss a visit to Zakerja Tower, do a tasting at Lovric Winery, then contemplate the long history of Korcula Town Walls, then admire the landmark architecture of Tower Kanalevic, and finally admire the striking features of Revelin Tower. On the 20th (Mon), you'll have a packed day of sightseeing: make a trip to Atelier Abel, take in the exciting artwork at Bags by Kristina, get engrossed in the history at Bishop's Treasury Museum, examine the collection at Korcula Town Museum, then stop by Coral Shop Irena, and finally admire the landmark architecture of Gabrielis Palace. To find ratings, maps, more things to do, and tourist information, read Korcula Town route planning app . Use the Route module to find suitable travel options from Sarajevo to Korcula Town. In January, Korcula Town is a bit warmer than Sarajevo - with highs of 15°C and lows of 7°C. Finish your sightseeing early on the 20th (Mon) to allow enough time to travel back home.